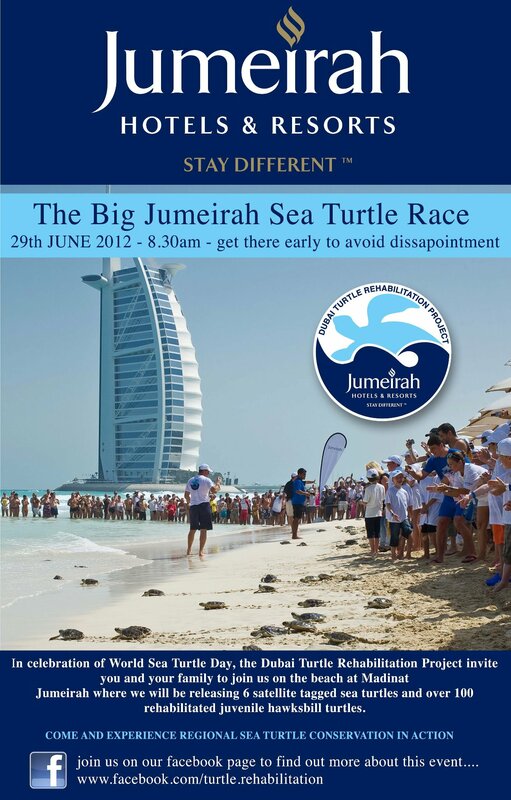 The Big Jumeirah Sea Turtle Race 29th June 2012! 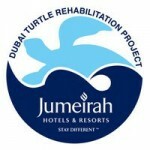 Dubai’s only turtle rehabilitation project is a collaboration between Jumeirah and The Wildlife Protection Office, with essential veterinary support provided by Dubai Falcon Clinic & Central Veterinary Research Laboratory and this weekend in celebration of World Sea Turtle Day they will be releasing rehabilitated Sea Turtles from the project. There will be a number of satellite tagged turtles including a 95 kg loggerhead, as well as over a hundred rehabilitated hawksbill turtles. The turtle release will take place this Friday at 8:30am on the beach at the Mina A’Salam Hotel where a temporary parking lot and beach access point especially for the event has been created. Please do not drive into the hotel. Check out their facebook page for the map and more details.